With the support of the European Union, PPM was created in 1996 with the ambition of making quality pharmaceutical products at affordable prices . The analgesic Kinal, in existence since 1960, was one of the first drugs produced by PPM. Leading the local pharmaceutical industry and providing jobs for 340 Cambodian nationals, PPM is proud to support economic development in Cambodia and to improve standards for health in Cambodia. PPM produces a range of high quality and inexpensive medicines to treat pathologies common in developing countries, with the goal of reducing distribution and sale of poor quality and counterfeit medicines. PPM – helping people live longer, better, and healthier lives, both present and future generations – allows Cambodia to reach a level of self-sufficiency with high-quality products, manufactured according to international standards, and consequently ensuring autonomy in health. At the international level, PPM aims to develop products and solutions concerning developing country, in terms of infectious diseases, vitaminology, OTC. 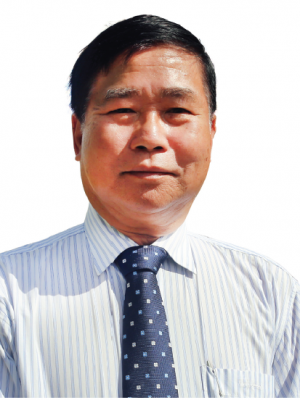 The success of PPM in Cambodia has naturally led to establish links and partnerships with France, and re-exporting PPM products to developing countries with similar pathologies. PPM carefully selects its suppliers in France and Europe to ensure impeccable raw materials and quality drugs. PPM’s efforts to develop international standards (GMP) have opened up new horizons: PPM materializes from its international presence over 3 continents (EUROPE, ASIA, AFRICA), including 20 countries in Francophone Africa. At each stage of production, our quality control laboratory analyzes product compliance for optimal safety and benefits of the GMP (Good Manufacturing Practices). PPM is also the first laboratory to develop Cambodian control HPLC equipment, allowing our specialists to analyze the purity of each component by chromatography, and also a bacteriology laboratory. 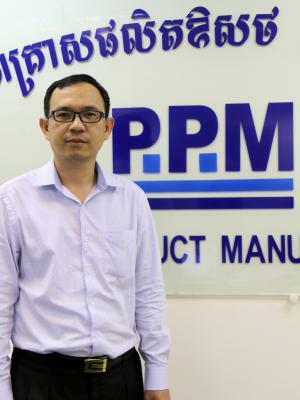 PPM is the first Cambodian pharmaceutical production site. PPM is the first Cambodian pharmaceutical exporting company. PPM is the first Cambodian pharmaceutical GMP certified production site.